The town of Columbia was founded and platted in 1826 by Josiah Hughes Bell, who located the town 2 miles west of Marion (Bell’s Landing -now East Columbia). 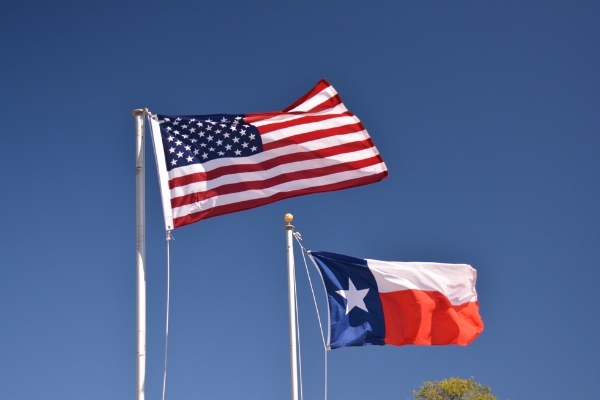 Columbia served as the capital of the Republic of Texas from September to December 1836. It was chosen because it had the most permanent buildings and the biggest newspaper in the Republic of Texas. The First Congress of the Republic convened, and Sam Houston was inaugurated president on October 22, 1836. The House of Representatives met in a one and a half story store built by Leman Kelsey in 1833. The Senate met in the smaller 1832 Henry S. Brown home. On November 30, 1836, Congress met in joint session and decided to move the seat of government to Houston. Secretary of State Stephen F. Austin died on December 27, 1836, in Columbia at the home of George B. McKinstry. With the seat of government gone, the town declined as a commercial center. The West Columbia post office was established in 1905. The town was revitalized with the 1918 discovery of the 20 square mile West Columbia oilfield. The town became a commercial center for agriculture (rice and cotton), oil, and sulfur. The 1928 census was 2,800 but declined to 1,000 with the onset of the Great Depression. In the 1960s many major oil companies had producing wells in or near West Columbia, and the area boasted the largest cattle population in Texas.A replica of the first capitol was built in 1977 at 14th and Hamilton Streets. The 2010 West Columbia Census was 3,905. 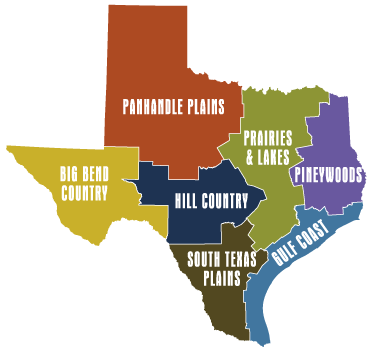 West Columbia is located between the Brazos and San Bernard Rivers on SH 35 and SH 36, 52 miles southwest of Houston, 24 miles north of Freeport, 15 miles west of Angleton, 8 miles north of Brazoria, and 2 miles west of East Columbia, Texas. “About 1833 Leman Kelsey built a story-and-a-half clapboard structure near this location. When Columbia became capital of the Republic of Texas in 1836, the building was one of two which housed the newly formed government. The First Republic of Texas Congress convened in Columbia. Here Sam Houston took office as Secretary of State. In 1837 the government moved to Houston. The 1900 Galveston Storm destroyed the original capitol. The Replica at this site was built in 1976-72.”The Capitol Replica is located at 14th and Hamilton Streets. This marker is at or near 1100 16th Street, Hondo, Texas. The memorial is adjacent to the American Legion Post at Jefferson Avenue and 14th Street in West Columbia. In 1912, the first traffic bridge was built across the Brazos River, providing a vital link between East and West Brazoria County. The bridge fell into the water in the 1930s. The current 3 Parker through truss span bridge was designed by J.G. McKenzie of Keliher Construction Company. It was built in 1939 using WPA funds and local workers. The bridge was originally nicknamed “The Bridge That Goes to Nowhere” before the soil embankments were built. The Pubic Works Administration paid 45% of the estimated $175,000 construction cost and Brazoria County paid 55% of the cost by issuing road bonds. The bridge is listed in the National Register of Historic Places. This bridge became a hike and bike trail after a newer bridge was built. Following the Battle of San Jacinto, the Texas government was moved to what was then known as Columbia because the town had the most permanent buildings and the “Telegraph and Texas Register” was the biggest newspaper in Texas. The House of Representatives met in a one and a half story store built by Leman Kelsey in 1833. The Senate met in the smaller 1832 Henry S. Brown home. Within three months the government moved the capitol to Houston. The 1900 Galveston Hurricane destroyed the Kelsey building. The replica Kelsey building was constructed near the original site in 1977. The building is furnished with period pieces. Special events including reenactments are held on the site. The replica first capitol is at north 14th Street and East Brazos Avenue. The park is the original the site of the Republic of Texas’ first capitol building. Park amenities include a walking path with 21 stations of black granite interpretive panels depicting the people and events of the early republic, a central plaza, and a cistern discovered during park construction. 100 East Brazos Avenue. Tours may be customized. Typical tour sites include the Columbia Historical Museum and Rosenthal School, the Replica of the First Capitol, lunch, the Ammon Underwood Home and the Waddy Cabin, and the Varner Hogg Plantation. For booking, call the West Columbia Chamber of commerce at (979) 345-3921.